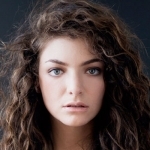 The first song that New Zealand singer-songwriter Lorde, a.k.a. Ella Yelich-O'Connor, ever wrote was inspired by Larry Clark's 1995 dark coming-of-age movie Kids. "I've always written. I wrote short stories until I was about 13 and then messed around with songwriting until I got a bit better," Yelich-O'Connor, told MTV News "[My first song] was called 'Dope Ghost.' I had just watched that Larry Clark movie Kids and I thought it was rad. I think it was poking fun at this girl in my year who was kind of going off the rails."